This is a Signed Open Edition Print by the artist Colin Ruffell.380mm x 500mmBrighton Band.. This is a Signed Open Edition Print by the artist Colin Ruffell.250mm x 350mmBrighton Band.. This is a Signed Open Edition Print by the artist Colin Ruffell.130mm x 180mmBrighton Band.. This is a Signed Open Edition Print by the artist Colin Ruffell.380mm x 500mmBrighton Beac.. This is a Signed Open Edition Print by the artist Colin Ruffell.250mm x 350mmBrighton Beac.. This is a Signed Open Edition Print by the artist Colin Ruffell.130mm x 180mmBrighton Beac.. This is a Signed Open Edition Print by the artist Colin Ruffell.380mm x 500mmBrighton Phon.. This is a Signed Open Edition Print by the artist Colin Ruffell.250mm x 350mmBrighton Phon.. This is a Signed Open Edition Print by the artist Colin Ruffell.130mm x 180mmBrighton Phon.. 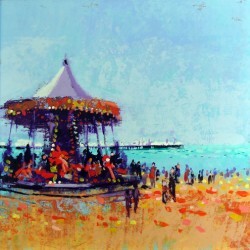 This is a Signed Open Edition Print by the artist Colin Ruffell.600mm x 600mmBrighton Pier.. This is a Signed Open Edition Print by the artist Colin Ruffell.450mm x 450mmPrint Only .. This is a Signed Open Edition Print by the artist Colin Ruffell.300mm x 300mmPrint Only .. This is a Signed Open Edition Print by the artist Colin Ruffell.600mm x 600mmPrint Only ..